Amazing staff and beautiful place. The best service I have ever experienced! Bed was comfortable. Shared bathroom but never had to wait.. it was clean. The staff was amazing and helpful and the breakfast view is just amazing. Good bed, good location directly at bus stop. Value for money! Great for hiking. 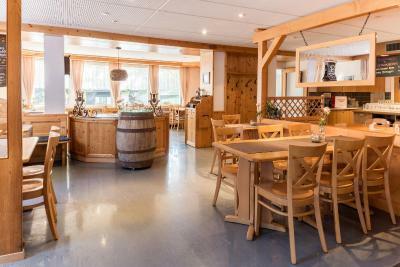 The staff, the cleaning, architecture, location, view and... + the reasonable price. Comfortable room. Great breakfast which was included. Good quality continental breakfast. Location is very beautiful, but if you need to get the bus to and from Interlaken it is very expensive. 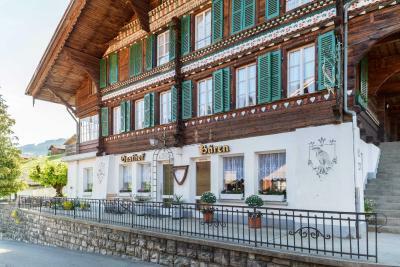 The family-run Hotel Bären is located 4.3 mi from Interlaken. 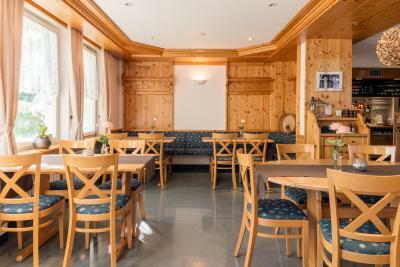 It offers rustic rooms in a quiet location, Swiss specialties in the restaurant featuring a terrace, free Wi-Fi, and free parking. The little Bernese Oberland village of Habkern lies in in a wind-protected and fog-free valley, off the beaten tourist track. 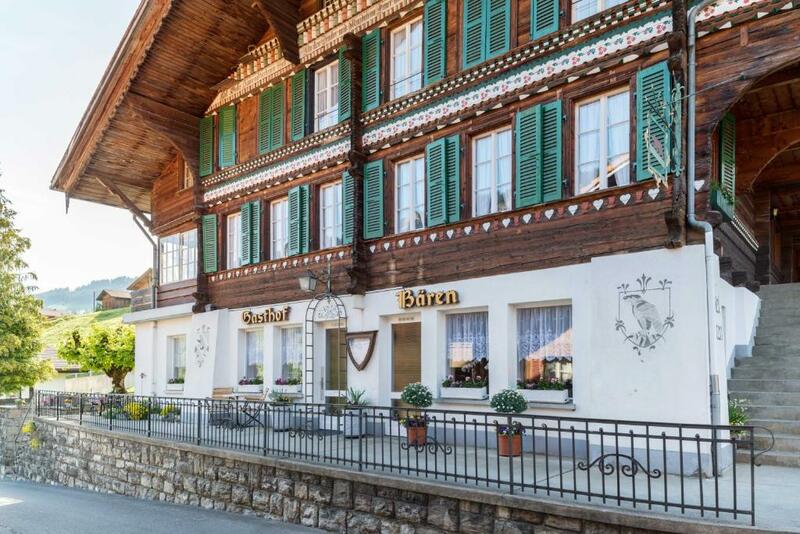 Rental bikes and packed lunches are also available at the Bären Hotel. 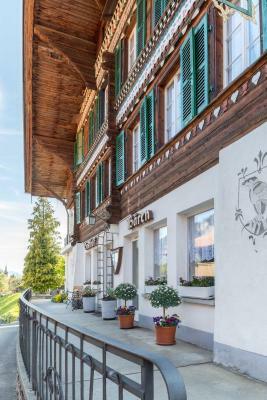 When would you like to stay at Gasthof Bären? This apartment features a patio, dining area and kitchenette. 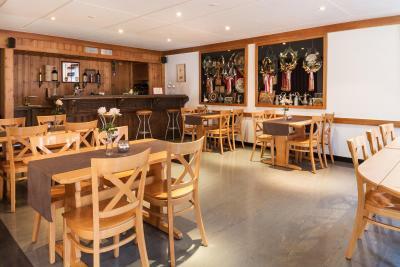 House Rules Gasthof Bären takes special requests – add in the next step! 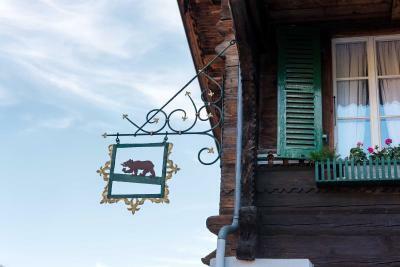 Gasthof Bären accepts these cards and reserves the right to temporarily hold an amount prior to arrival. Please note that cooking is not allowed in the rooms. Please note that extra beds are only available in the apartment. Location great. Food excellent.Staff great. 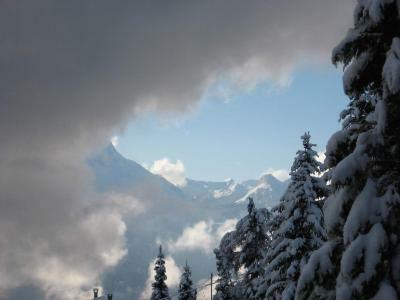 You must have a car, if your plan is to visit Interlaken. We liked it all - especially the peace and quiet of the small village. There was some sort of music festival that i could hear from my room going on until 3am. Guests from the hotel i guess were there so very noisy when they came back as the doors/walla are very thin. They tried to overcharge me for a child @ SFr 40.00 per night. Booking.com intervened and then they recalled an email confirming a price of SFr 20.00 and then apologized. Initially they were very stubborn. The owner never bothered to smile or greet and was not pleasant during our entire stay. Except for the location, I would not recommend this place. Uncomfortable bed, bathroom shared by floor.